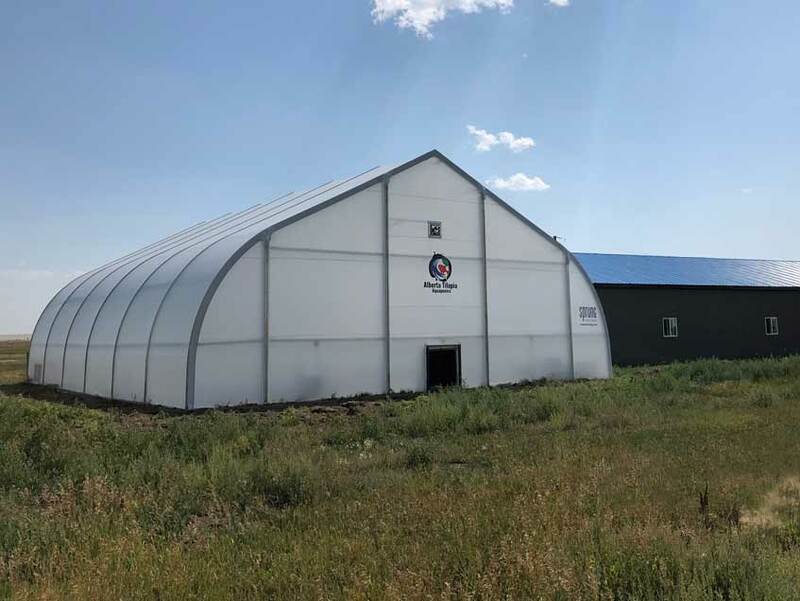 Alberta Tilapia Aquaponics in Calgary, Alberta	 Aquaponics focuses on growing fish and produce together. Water flows from tanks through the greenhouse and back which both purifies and heats the water. 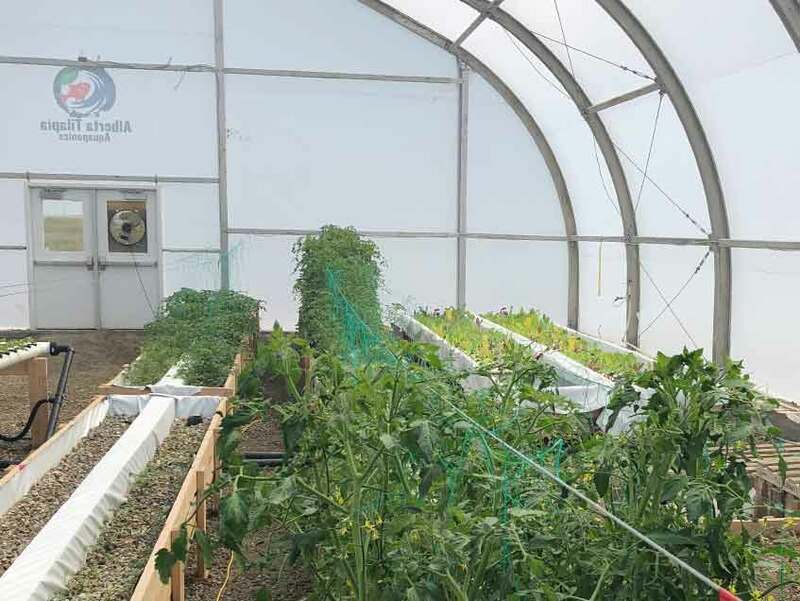 This year round greenhouse uses natural light to grow in combination with aquaponics. 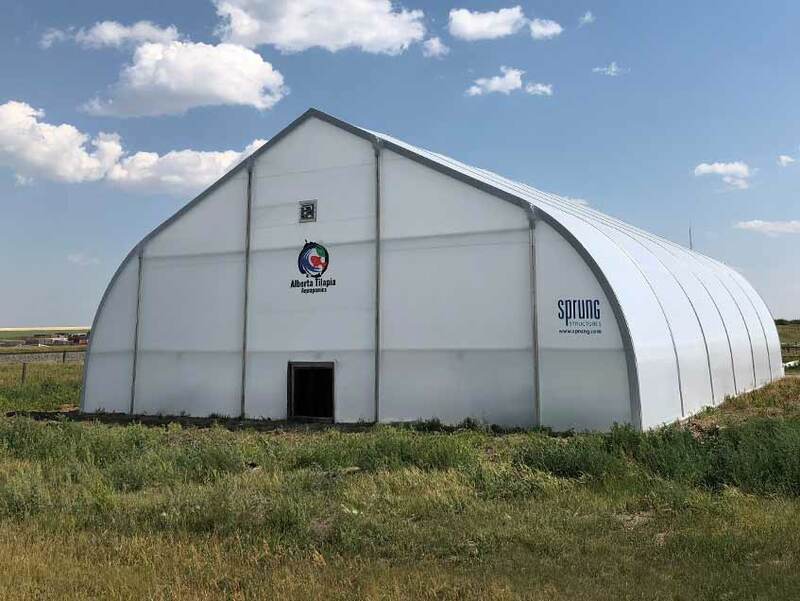 50’ wide by 60’ long Sprung Structure with greenhouse membrane. Build a tilapia fish farm and combined it with aquaponics in Alberta, Canada. 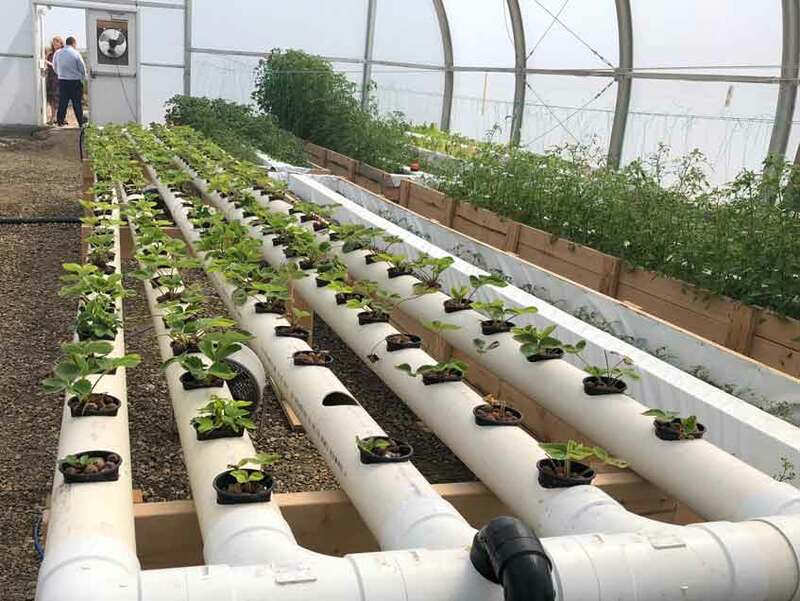 Aquaponics focuses on growing fish and produce together. 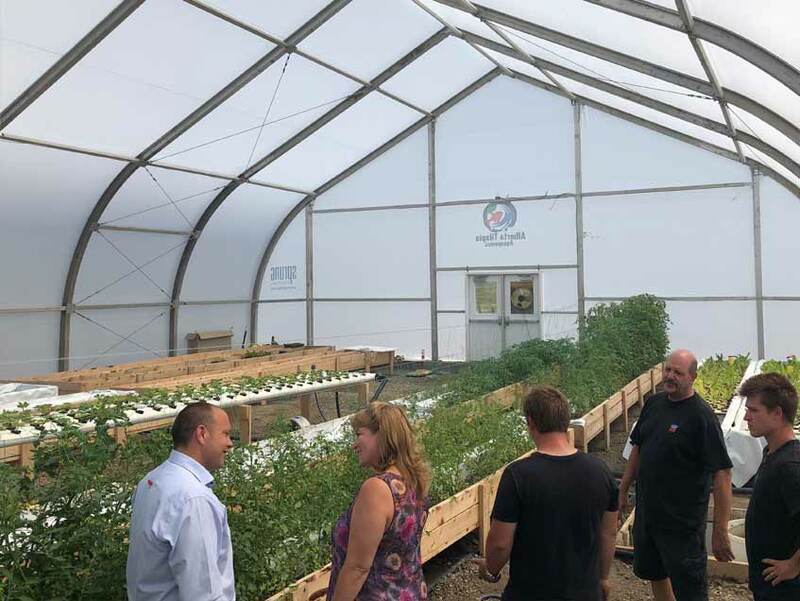 This year round greenhouse uses natural light to grow in combination with aquaponics. This facility has 25,000 Tilapia which will eventually increase to 60,000. All the water flows from tanks through the greenhouse and back which both purifies and heats the water. This operation only require 40 gallons water per day.